The Master of Science in sustainability is a research-oriented degree that culminates with either a thesis or a capstone in the form of a publishable, scientific paper. 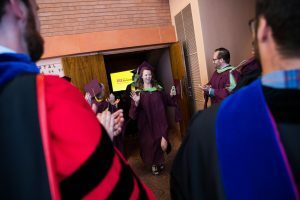 Although all sustainability graduate programs emphasize the integration of a broad range of expertise in student training, the MS (vs. the MA) is best suited to students inclined toward natural sciences, economics, engineering or related fields and interested in a career in research or academia. Students learn how different disciplines view and approach the challenges of sustainability in theory, research and practice. They develop the academic and technical skills as well as the ethical insights that will help them understand, research and provide solutions to complex sustainability challenges at the local, regional, national and global levels. This degree program (vs. the MSUS) is geared towards students interested in a career in research or academia. Have a question about the Master of Science in Sustainability?